Make sure your star faculty’s spotlight reflects back to the home institution, with customized galleries that multiple groups on campus can manage. 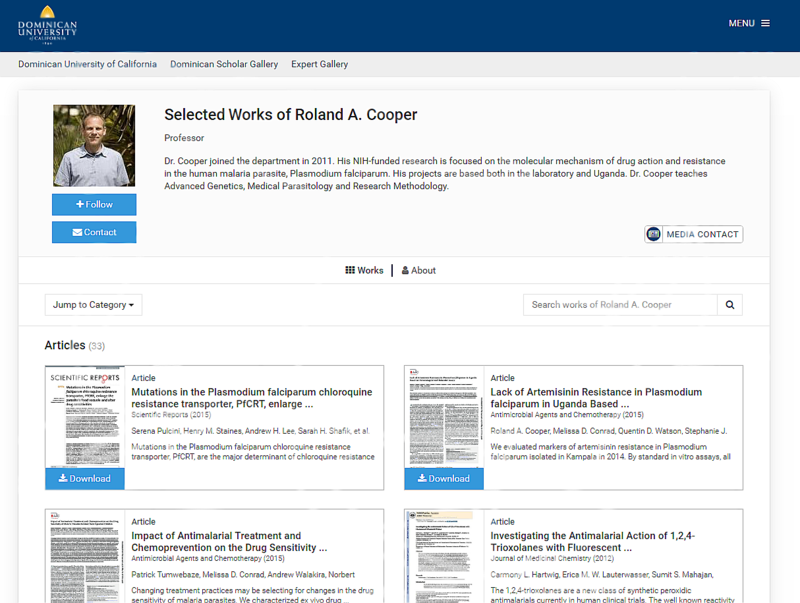 Unlike other faculty research platforms, the Expert Gallery Suite lets you create unlimited galleries of experts and researchers and add them to any campus page. 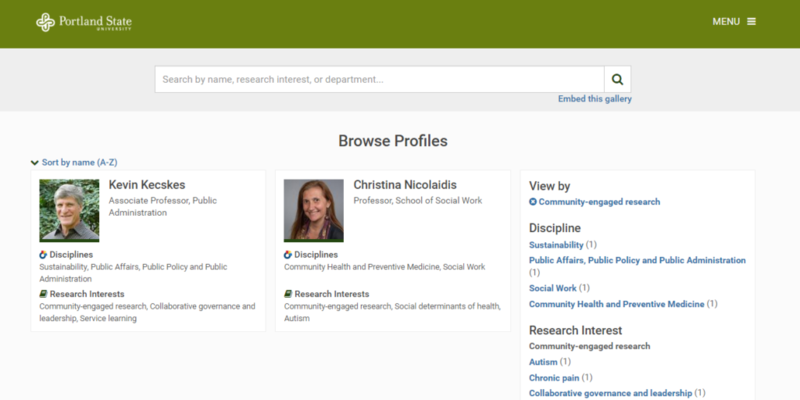 And unlike most faculty directories, this lets both internal and external stakeholders find experts by research interest, media experience, and availability for mentoring, in addition to department. A panel of heart surgeons? Winners of an Excellence in Undergraduate Teaching award? Experts in the latest breaking news stories? Group them together in customized galleries to show off your programs and better land the funding and media opportunities that so often get missed. Make sure local and national media find the best spokespeople for your school or program: contact forms with custom workflows, past media engagements, and vetted profiles ensure you put your best face forward. 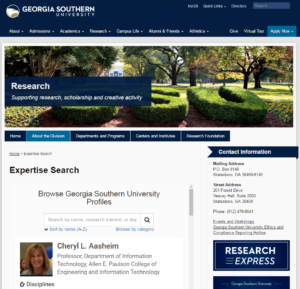 Whether you need to find a research partner for an interdisciplinary grant or a professor who’s open to undergraduate lab assistants, custom filters and search make it easy to match people with each other and opportunities. Potential partners in the private sector can also search by key term or specialization to find the help they need.